Saint Francis Healthcare System has named Jason Bandermann, MBA, administrator for Physicians Alliance Surgery Center, 3241 Percy Drive. Saint Francis entered into a joint partnership with the Surgery Center in September 2011, when it purchased a 51 percent interest in the limited liability company. The remaining 49 percent interest is shared among the 16 local physicians within the alliance group. As administrator, Bandermann is responsible for operations and strategic directions of the Surgery Center, which provides ambulatory surgical services in the following specialties: ear, nose and throat; general surgery; gynecology; ophthalmology; orthopedics; and retinal specialties. 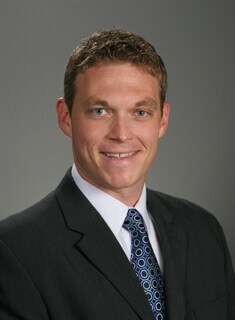 Bandermann joined Saint Francis in 2007 as a referral services manager in Services to Business. He later added the position of practice manager for Cape Diabetes and Endocrinology. Prior to joining the Medical Center, Bandermann was a math teacher at Central Junior High and a marketing specialist for Crader Distributing Company in Marble Hill, Mo. After graduating from Woodland High School in 1998, Bandermann received a bachelor’s degree from Southeast Missouri State University in 2003. He earned Master in Business Administration from William Woods University in 2006. He is a Leadership Cape graduate and serves as chair of the Cape Girardeau Area Chamber of Commerce Health and Human Services committee. Bandermann is active in his church, Lynwood Baptist, and serves on the board of directors for United Way of Southeast Missouri and the Gibson Recovery Center. He is also a member of the Cape Area Personnel Association.